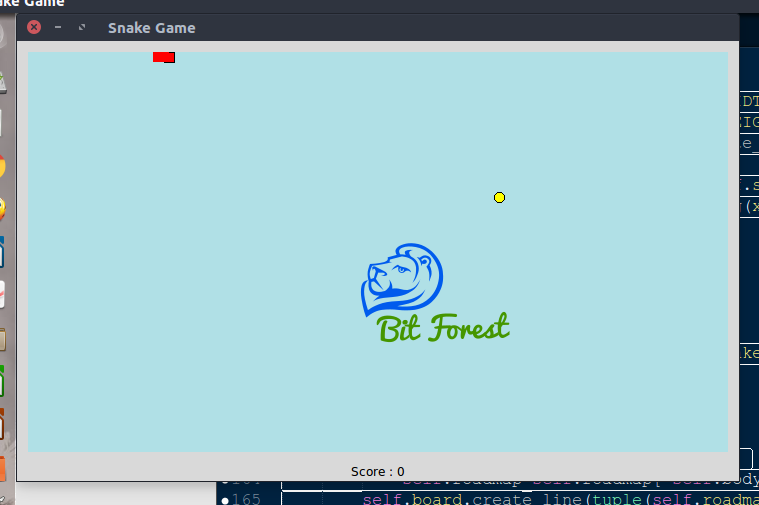 Today, I Am Going To Show You How We Can Create Simple Snake Game Using Python and Tkinter. Friends, As we all already know that to make any skill sharp. we have to practice it as much as we can. so, if you are a new python programmer and searching for a practicing task that can help you in polishing your python programming skill then friends you came to a good site. basically, friends this python game script will boost your knowledge in both python OOP and Tkinter module. I know my some python examples look very hard for beginners but friends, believe me, my all example only look hard actually they are very easy to understand. The only reason they look hard because I am using OOP (Object Orient Programming). So, If you really want to be an expert Python programmer then don't lose your courage or guts. How it's going to work? Actually to make this game more easy to understand. here I am going to use Tkinter module. well, I know Tkinter is not good for gaming purpose but I am using it because it's very easy to use, easy to understand and also very powerful GUI module. so, now it's time to talk about the basic planning of snake game script code. Basically, In this game, I am going to use Tkinter canvas widget as the ground for snake where the snake will scroll. The main reason behind using canvas widget is its powerful and wide range of shape representation facilities. In simple words, Tkinter canvas widget provides us the facility to represent various types of shape in different ways, In the different color, and with different configurations. 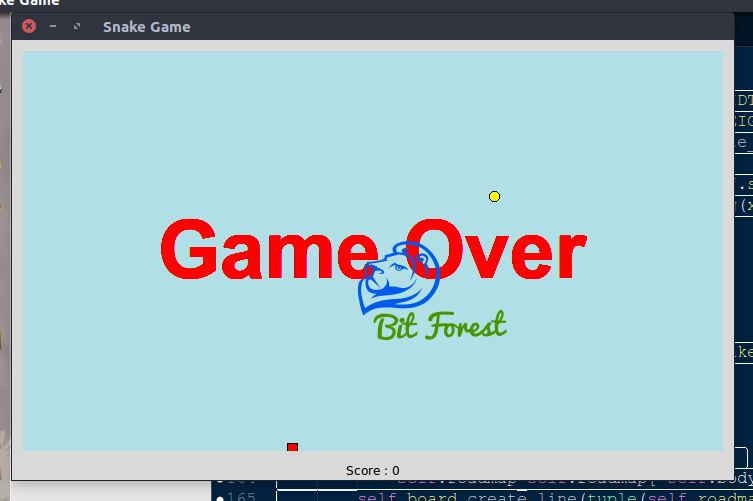 hence with tkinter canvas widget, we don't need to worry about low-level functions & codings to make a snake game. To make a running snake in canvas widget, I am going to use small rectangle shape available in canvas widget. basically, what I am going to do? is to make a snake coordinates list where I am going to save coordinates of snake body onto the canvas widget and whenever snake will move from one point to another, we will just update coordinates on list Basically, with snake coordinate list we will redraw snake shape every time again and again in every frame. To capture keyboard input, we are going to use Tkinter built-in binding functions. With Tkinter binding class we can easily track keyboards output. actually for this game you need basic knowledge of python and Tkinter module because, without basic knowledge of Tkinter module this game is very difficult to understand so, I am assuming that you already aware with Tkinter module. Now let's take a quick dive in python codes to understand what exactly I am going to do to make a snake game. 1. Functions Responsible for creating shapes and widgets. 4 Function for regularly updating all other necessary movement-related functions.